I can't find any evidence of GPU "NVIDIA GeForce GT 750M" in the system. About This Mac shows only "Intel Iris Pro 1536 MB"
About This Mac -> System Report button -> Graphics/Displayes on the left. Again, I see only "Intel Iris Pro Graphics"
It rather looks as my Mac has only one graphics system. am I right that my Mac has only Intel Iris Pro graphics system? if there is only "Intel Iris Pro" in my Mac how is that possible that official technical specifications page https://support.apple.com/kb/SP704 also lists "NVIDIA GeForce GT 750M"? Apple sold many different versions of the 2014 MBP - different SSD sizes, different RAM amounts, different processors, and on the most expensive machines, a dedicated graphics card. You may have a machine with only integrated (Intel Iris Pro) graphics. To learn whether or not you are right about only having integrated graphic, you need to know the exact MBP model you have. Go to the Apple (top left of screen) and choose "About this Mac". Look at the pop up window and find the serial number listed at the bottom. Copy it. Go to www.everymac.com/ultimate-mac-lookup/ and paste your serial number where it says Enter Identifier. Not the answer you're looking for? Browse other questions tagged macbook hardware gpu . Why does my MBP Retina Mid 2012 show Intel HD 4000 when it came with an Nvidia GT 650M? What kind of SSD is compatible for MacBook Pro (13-inch, Mid 2010)? 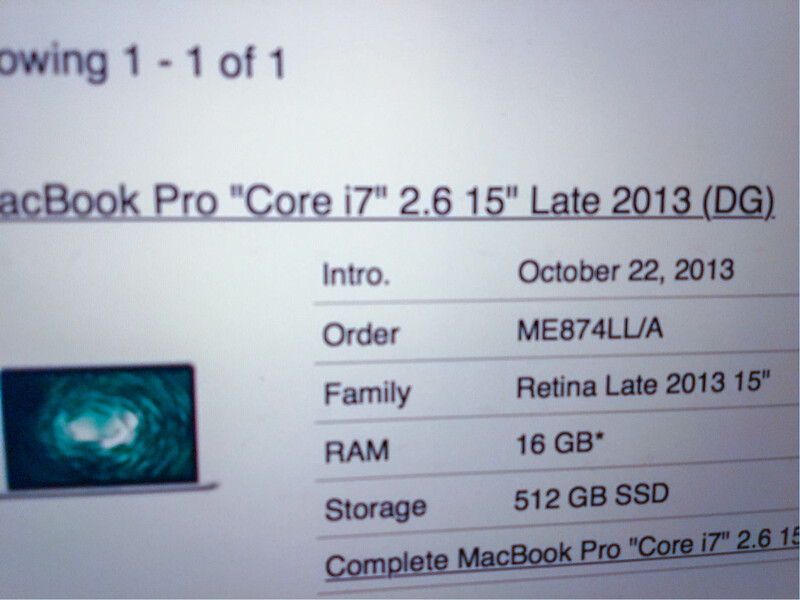 Does 2.8GHZ Mid 2015 MacBook Pro come with dual graphics as default?